In his November edition of Automated Buildings, Ken Sinclair introduces the concept of Lygometry, a process of quantifying things you know that you don’t know, and his collection of “A” words, the six words we need to embrace and make part of the IoT journey we all are on. 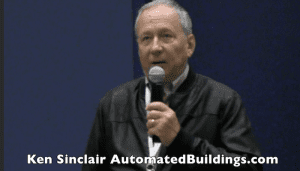 Plus, Ken Sinclair’s and Therese Sullivan’s amazing “Time line Smart Building Automation Evolution with over 100 events linking 1000’s articles of history.” Keep reading! Rewards are great! Many critically important insights from some of the sharpest minds in the HVAC and BAS industry.